Whether it's weekend hacked innovation or unveiling funded, fully functioning products, San Francisco's technology arteries can be used to gauge our country's broader interest and investment in innovation. That's what San Francisco's Launch Festival does each year. Launch founder Jason Calacanis curates the world's most interesting new ideas into the largest start-up festival once a year. From mobile apps to the Internet of Things, hundreds of companies demoed and competed to be Number One. Angels and venture capitalists walked the aisles in search of a hot new investment, and teaching entrepreneurs what they need to brace themselves for in starting up a business. After watching the launch demos or making my way through the demo pit, I found that these companies stood out as great new products for both consumers and companies. Listening to the right people can sometimes be a struggle, especially living in a social-media-influenced world where we're all inundated with messages. Little Bird understands the importance of listening to the right influencers to businesses and focuses on gathering social media data to inform your company about what everyone's talking about so that you can better build products and white papers and even reach out to those who matter. CEO Marshall Kirkpatrick knows better than anyone and shared, "Customers are people who love data and want to convey and appreciate the value of listening beyond themselves. If you went to a party and listened to only people talking about you, you wouldn't have many friends." HandUp is the feel-good company that not only helps those who are desperately in need but focuses on the communal aspects. You can start a campaign for a cause, homeless person, friend in need, etc., and help raise money in your community through social sharing. Utilizing a service like HandUp legitimizes the cause and further allows communities to watch out for each other. As our health care changes radically due to the Affordable Care Act, companies and consumers struggle with new bills, understanding policies, and dealing with both new insurance pools as well as doctors' offices. Better is a personal health assistant that handles the busy work for you. Companies or individuals can sign up for Better to make health care seamless. 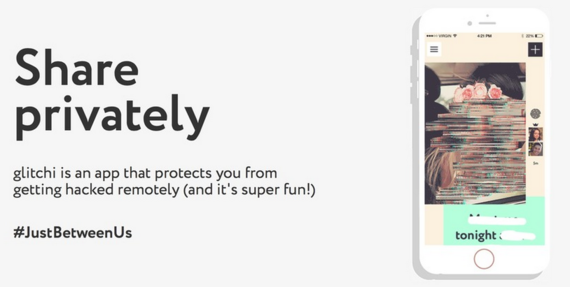 Professionals have been chattering about the need for a "Tinder for networking." The team at Weave heard us all and created a mobile app that syncs into your Linkedin and allows you to right-swipe other professionals around you to meet for coffee and network. It's a step above going to a meet-up where half the professionals aren't a good resource; this lets you cut through the chaff and meet individuals close by. You can even hunt for a co-founder or angel using their "rooms" feature. Like contests? Like free swag? Or maybe you're a brand trying to get in front of millennials who like to post onto social media hourly? SwagTag is the brainchild of investment banker Duncan Robins and e-commerce whiz Danny Beckett Jr. Both had a history of working with brands and knew there had to be a way to give big and small brands alike a social tool that would get them in front of the right audience and allow them to share. They created mobile app SwagTag as the answer. Brands post picture and video contests offering free swag to the winners, and audiences post their content, and the more likes, shares, and comments, the more points. Whatever entry has the most points based on their ability to share wins! Ever since a troupe of unseemly characters on 4chan hacked both female celebrities' iCloud accounts and Snapchat users' private pics, anyone who takes compromising and even uncompromising photos have become concerned about privacy. Glitchi's co-founder understands this well, as she herself was hacked and had her identity stolen. Regarding the recent hacks, she shared, "We all do it. Celebrities are people. It's gives me a terrible feeling that there are people out there who want to embarrass and expose these women." This gave rise to creating the most secure app possible, where users are given the ability to "glitch" the app so that only the receiver can unencrypt and read or see the message. 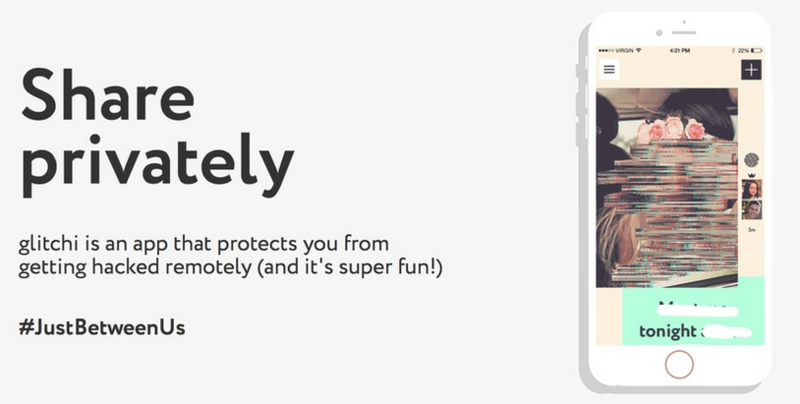 This new app can literally be used by anyone. We all suffer from skin conditions, whether it be a rash, hives, warts, a mole, or pesky acne. No one is immune! FirstDerm allows you to stop sending pics of your skin condition to your friends with the caption "What is this?!" and send them directly to a dermatologist instead. Seventy percent of patients do not have to see a doctor, and most everyone sees results within 24 hours from a board-certified dermatologist. Wearables are the latest trend, whether it's tracking your body's habits or sporting the latest watch. Oura is a ring for your finger that tracks daily habits such as sleep and gives valuable insights. Data means nothing if you can't interpret, and Oura seeks to do so. Built for comfort and a sleek design, Oura shows you optimal sleep times for better performance. They're currently in pre-order but will be available sometime in fall 2015. The audience-voted winners of Launch 2015 are here.